I love to cook and bake as much as I like to read recipes and peruse cookbooks with beautifully photographed delights. Working at a bookstore for almost 20 years, I had plenty of opportunity to peruse (and purchase) cookbooks but it was next to impossible to find a cookbook for kids that I would buy and use with my own kids or recommend to customers. Part of this is because of my particular taste in cookbooks but also because the reality is that there just isn't that much you can really cook with an average kid - or have your average kid cook alone. And, while I am always lookout for good cookbooks for kids as well as cookbooks for adults that might also have kid potential, I have only reviewed a handful of cookbooks here in the last eight years. Because of this, I am thrilled to have found Quarry Books, publisher of fantastic cooking, art, science and gardening books FOR kids! They also have a great line of doodle and drawing books that I hope to review here soon. 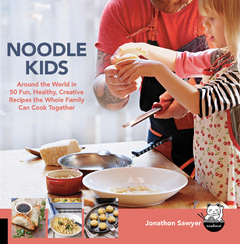 I reviewed Noodle Kids: Around the World in 50 Fun, Healthy, Creative Recipes the Whole Family Can Cook Together by chef and dad, Jonathan Sawyer, last year and am excited to be moving on to Baking with Kids by Leah Brooks, photographs by Scott Peterson, this year! For me, a good cookbook has great pictures, and this is especially the case for a kid's cookbook. One of the things I love about Quarry Books are the crisp, contemporary, abundant photographs in all of their instructional books, from cooking to art to science. 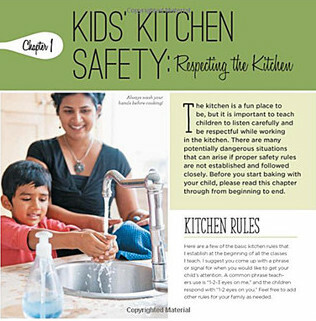 Being a cookbook for kids, Brooks begins with kitchen safety and respecting the kitchen where she provides a breakdown of knife safety and appropriate knives for different ages. 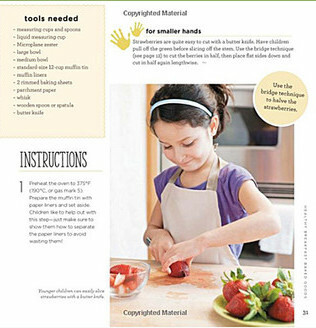 Brooks has great instructions for teaching a child how to use a knife as well as other sharp utensils like peelers and graters.She also has a great list of kitchen rules that includes a favorite of my mother's that I try to embrace, CLEAN AS YOU GO! 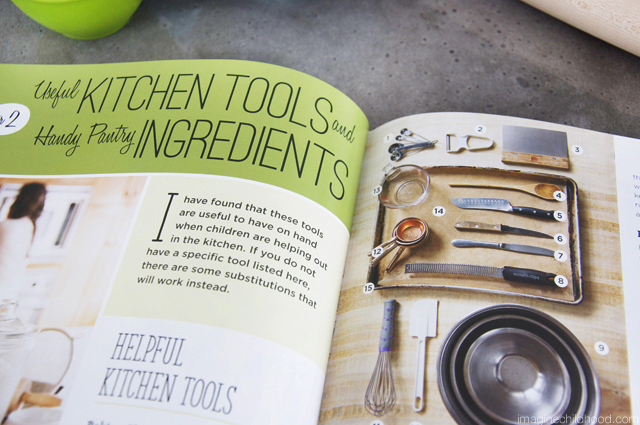 "Useful Kitchen Tools and Handy Pantry Ingredients," is yet another great chapter that parents and kids should read together and it even includes a kosher to table salt conversion. 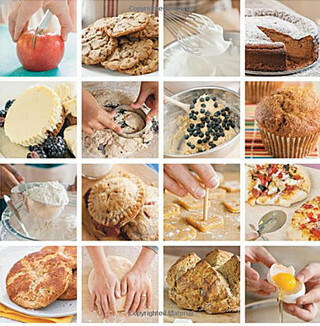 From there, Brooks breaks her recipes down by Healthy Breakfasts Baked Goods, Breads and Snacks, and Delicious Desserts, ending with a wonderful chapter on How to Throw a Fun Cooking-Themed Party that includes various cookie, pizza and cupcake party ideas. Another aspect of Baking with Kids that I love is the variety and complexity flavors in the recipes that Brooks presents. 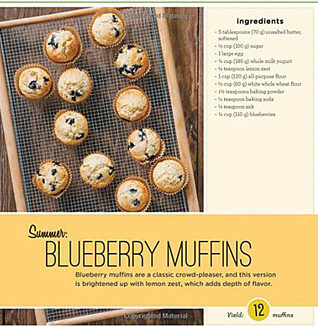 There is a recipe for blueberry and lemon poppy seed muffins as well as roasted strawberry muffins and there are recipes for sweet and savory scones. The chapter on Bread and Snacks includes recipes for soda bread and French baguettes as well as pretzels, cheddar crackers, olive oil crackers and "Good For You Graham Crackers." I especially love the chapter on desserts, featuring hand pies as well as a flourless chocolate cake and "Easy-Peasy Mini Cheese Cakes." Having spent a lot of time in the kitchen and even more time working with my kids and niece and nephew, it is challenging to find recipes where you can step back and let the little people do the work and feel ownership. Baking with Kids truly achieves this with an added plus that I think is especially great: in every recipes, when applicable, Brooks includes a step called, "For Smaller Hands," that give the tinier chefs the opportunity to get in on the fun. 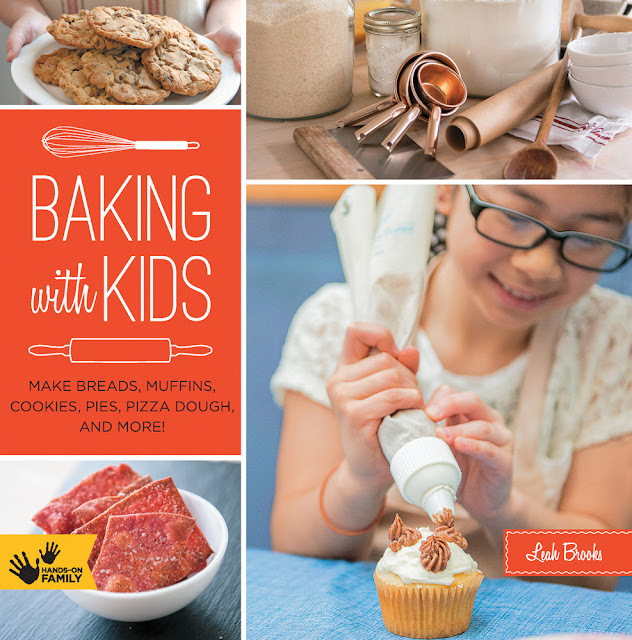 Baking with Kids is a must have if you, the adult have little ones who want to bake. Even better, it is a magnificent, uniquely special gift that will make any junior masterchef smile!